Our vision is of a world where no one is blind from avoidable causes and where visually impaired people participate equally in society. Each year, we improve the lives of millions of people in the poorest parts of the world. We are looking for an experienced, self-driven and results-oriented Project Coordinator, based in Morogoro, who will ensure that the Mwangaza (comprehensive eye health) project is planned, implemented, monitored and evaluated to the highest possible standards and in line with Sightsavers and donor procedures. Reporting to the Programme Manager, the successful candidate will be responsible for providing timely support and work with Help Age and other partners in the region for enhancing equal accountabilities and therefore play a leading role in planning and reviews, implementation, continuous monitoring, reporting, documentation and advocacy. You will work with the Morogoro regional authority, Sightsavers Tanzania Country Office and donor on the policy, influency and implications in order to foster change and sustainability as well as to identify further areas for programme growth and development. The successful candidate will have experience in project management, particularly of donor-funded projects (DFID, USAID etc). You will be knowledgeable on disability and development issues and be able to understand and work with project budgets, forecasts and reports. The candidate must be fluent in spoken and written English and hold a Batchelor’s degree in a relevant field (Health Sciences, Social Sciences, Development Studies or Economics) level. Post-graduate studies in project planning and management is desirable. The successful candidate will have significant experience implementing social development programmes and a familiarity with M & E tools and activities – especially project cycle management, log frame and donor reporting. 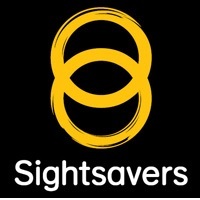 To apply for this post by email, please download our application form and equal opportunities form and return as two separate documents to jobs@sightsavers.org.